different patterns . . . 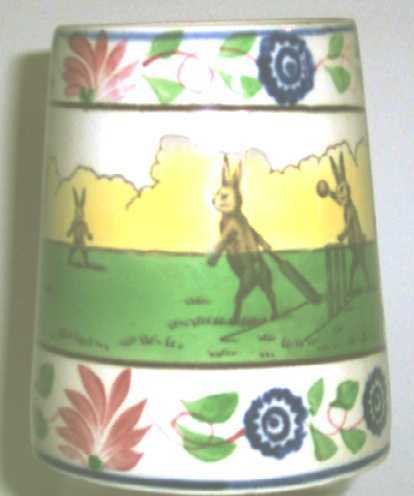 The Running Rabbits with the Virginia Center . 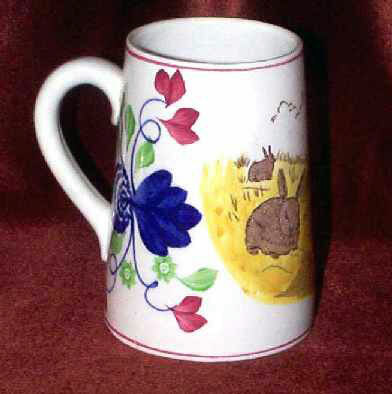 . .
Bullseye without the Frog, to name a few. All are in excellent condition and are priced at $2800.00 each. 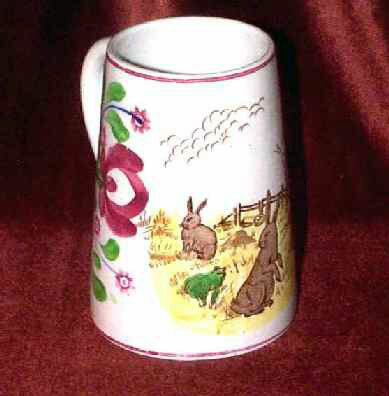 From our Collection of Rabbitware we are pleased to offer these Cider Mugs with the Rabbits playing Cricket. These are a true rarity in the world of Rabbitware. 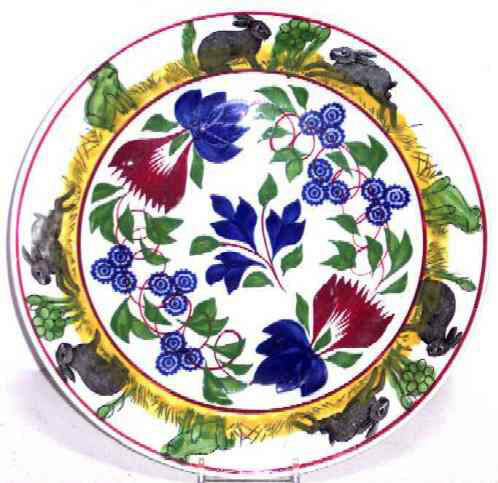 The Oval Platter has the Bullseye Border. 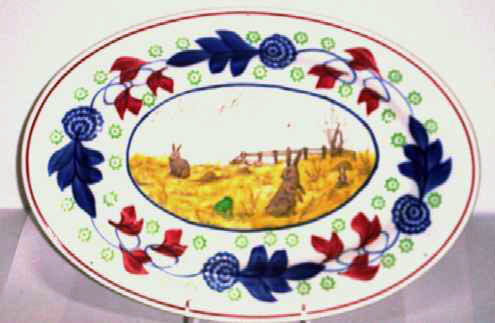 The Chop Plate, with the Virginia Border has an in-the-making glazed over nick on the rim that needs to be mentioned for the sake of accuracy. Both display beautifully! Each are priced at $1950. We currently have 1 Roadster Plate in mint condition for $3400.00, and one with an excellent, prof. repair for $2900.00. 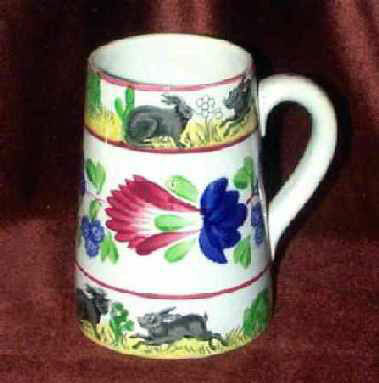 We also have Cricket in the Sporting Series ($1900.00). 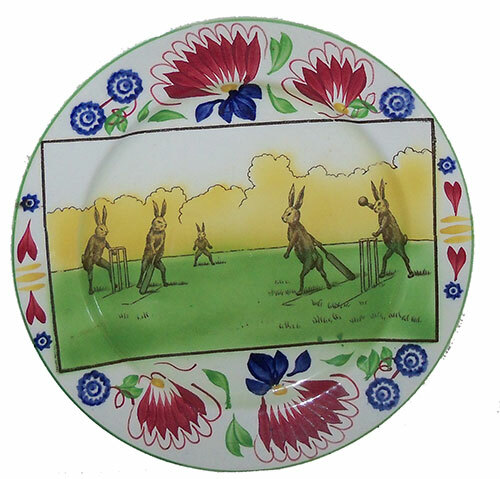 We also have several other of the plain Rabbitware Plates featuring the Bullseye as well as the Virginia pattern. They are priced at $565.00 each. 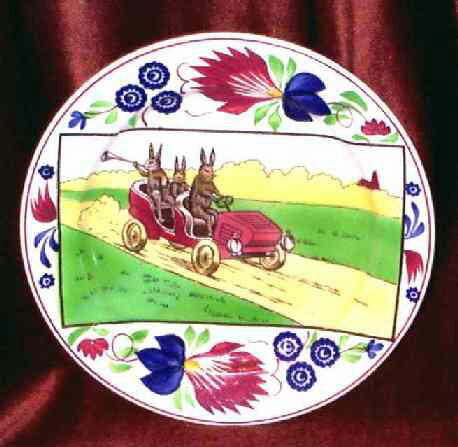 In addition we have a plate with the Rabbits running around the border. 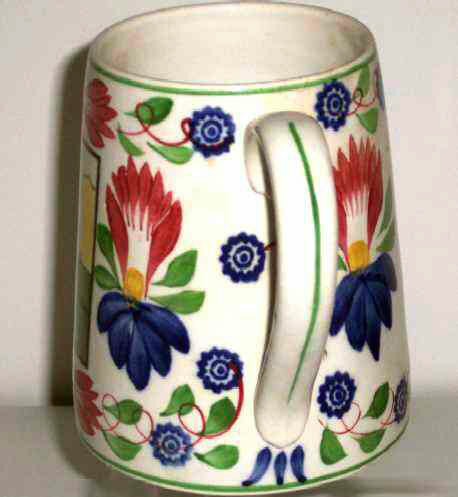 There are several small areas where there are some glaze skips (white areas in the flowers) but the overall condition is excellent. A bargain at $525.00!